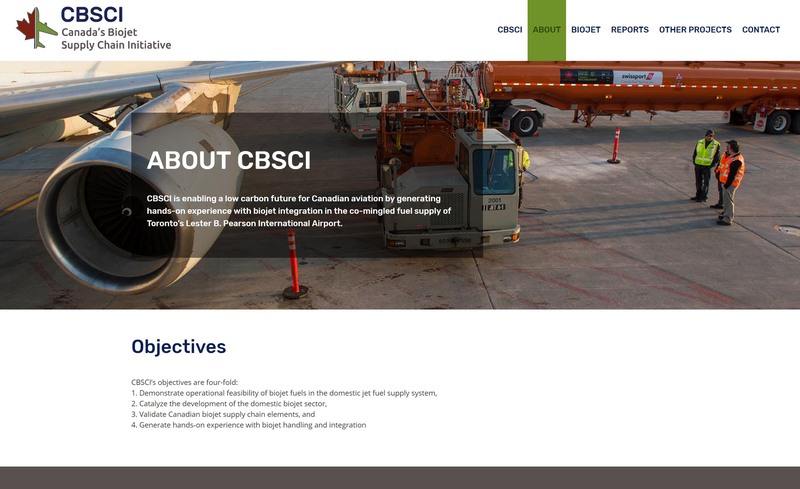 The Canadian Biojet Supply Chain Initiative is a project from our client Waterfall. 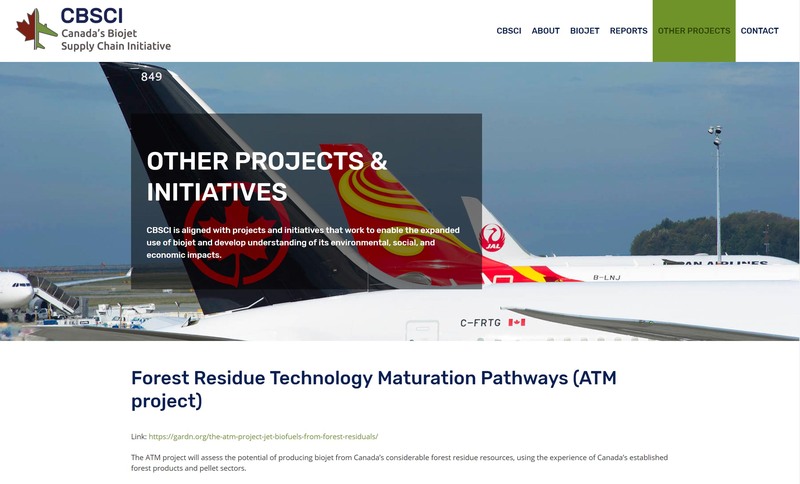 It’s an initiative that brought Canada’s first commercial biojet blend to Canada’s largest, busiest airport on Earth Day of 2018. 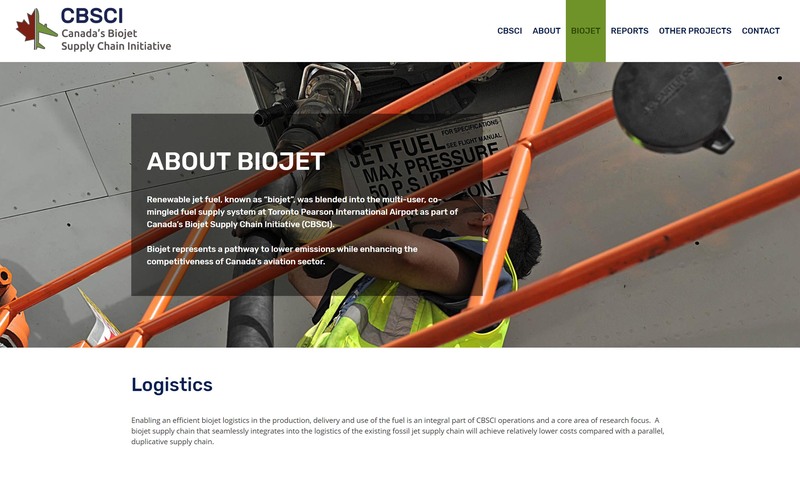 They are working with a wide range of large industry and government players to drive change in the industry and needed a website with an animated video to show both the logistics of the supply chain as well as convey the research and industry information to their partners and other interested parties. 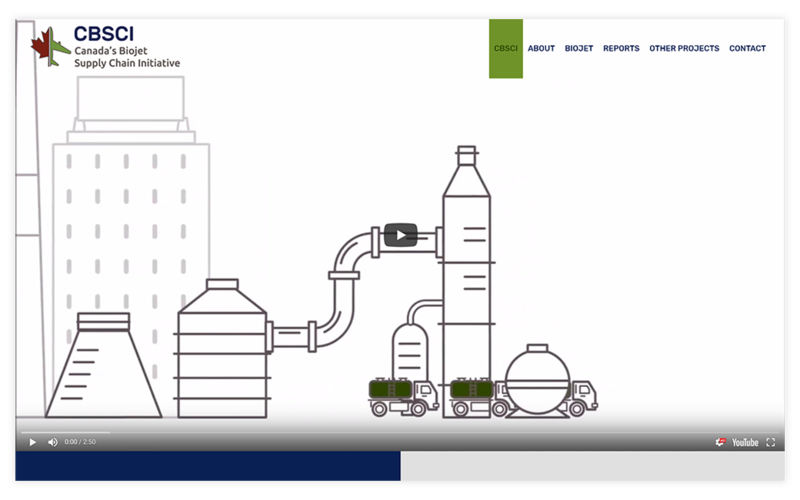 Big Picture Communication developed a logo and brand for the initiative, as well as an animated explainer video that simply and effectively conveyed the supply chain process for the project. Both were used as cornerstones for their simple but full-featured website.